"How do you use my information?" Before we answer that, we want to be clear: we do not share your information with any other organization. This includes those businesses who find us through Facebook. Occasionally, we may include a business in promotional materials (for instance, showcasing a "Business of the Month") but we won't do that without explicit permission from you. When it comes to matters of money and the Internet, verification and security are everything. We want you to know we take your business, your money, and getting your money to you, very seriously. We want to make sure your experience is secure and stable, and frankly we want it to be secure and stable for us too. Asking for information, such as your business' EIN or a working contact phone number, goes a long way to ensuring we and you are legitimate folks who mean no harm or deception. And to transfer funds to your bank account, it should be obvious that we need to ask for bank information in order to do that. At the end of the day, it is a very good thing we ask these questions. Anyone asking for less isn't taking you seriously enough, but what you do, matters. We take this business, and yours, very seriously. 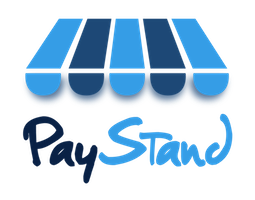 How do I embed PayStand into my Tumblr site? How do I contest a dispute or chargeback fee? How do I test a transaction in a Sandbox environment?